Every year around this time, I sit down with a copy of Turbo Tax and sort out our taxes. As daunting as taxes are to some, I actually enjoy it. I know, I know… Sick. But I actually consider it to be one of the most valuable financial exercises that I go through each year. It serves as both a detailed year-end review and an opportunity to plan for the upcoming year. And guess what? It’s not actually that bad once you have the paperwork pulled together. In fact, it would take me nearly as long to organize and annotate everything for an accountant as it does to simply enter it into Turbo Tax and get my answer. Don’t get me wrong… I definitely see the value of consulting a tax professional if you have lingering questions. In fact, I did just that last year. But even if you do use a tax pro, I still recommend doing a dry run on your own. The bottom line is that there’s no better way to get a feel for the best ways of minimizing your tax burden — like by discovering new types of income tax deductions that you may be eligible for going forward — than by working through the calculations yourself. Even if your tax preparer provides you with a list of recommendations after crunching the numbers for you, you’d be surprised at how much more you can learn by playing with the numbers yourself. Moreover, you’ll never know if you’re getting your money’s worth if you don’t run the numbers yourself and see how the results compare to those of your tax pro. Last year, which was the first time I had ever paid to have our taxes done, I found that my own results were nearly identical to those of our tax preparer. Thus, while I’ll definitely pay him another visit if I run into any particularly sticky scenarios, I’ve decided to return to my habit of preparing our taxes myself for the foreseeable future. While Turbo Tax cost me a bit under $40, the insights provided by doing our taxes myself are priceless. This article is part of the MBN Group Writing Project on taxes. Consumerism Commentary: Is it Better to Receive a Tax Refund or Owe the IRS? That’s kind of funny b/c cutting my own hair and doing my own taxes are two things that I take a little pride in doing myself… Both were $-saving habits from college that I’ve never really felt the need to change. I actually disagree with doing your own taxes. I have used a CPA since I was 17 yrs old. I pay $100 per year to have my CPA handle my return, granted he is a friend of mine. There are some things I just believe you should pay a professional to do. At the top of that list I have “cutting my own hair, and doing my own taxes”. It has been a widespread belief that doing your own taxes is equivalent to serving a sentence. But it’s just like learning to solve a problem. You agonize and agonize over it, not even attempting to understand. But if you just stay focused and try to understand the problem, you’ll end up learning something new and you might even be able to turn things around to your advantage. Funny, but until I read this post, I felt that once I hired a CPA, I had to use one forever. Thanks for pointing out that it’s possible to go *back* to doing your own taxes. We have some new things that need to be done over the next couple of years, but once I’m confident that I can do them myself, I think I might go back to doing my own returns then. I know I’m weird, but I used to enjoy it and get a tremendous sense of satisfaction out of it! I agree that doing your own taxes is a great way to get to learn tax strategies for the coming year (even with the frequent changes to the code). I have always done my taxes until this year. I am recently married and decided I was not comfortable taking responsibility for someone else’s taxes. I used to use Turbo Tax, but now use a CPA. The actual tax preparation wouldn’t be so difficult to do myself, but the tax planning and advice are invaluable. I used to use TurboTax and LOVED it, but unfortunately this year I’m part owner of an LLC, which apparently TurboTax doesn’t do (1065 and K-1), or at least not the version I have access to. So I bought TaxAct instead and wasn’t all that impressed. Many credit unions also offer free (or reduced price) Turbo Tax links from their homepage. You often don’t even need to be a member. Try OnPoint Credit Union, http://www.onpointcu.org, or Verity Credit Union, http://www.veritycu.org. btw – Nickel, I wasn’t trying to be negative, I just was trying to play the contrarian role. When I saw the title in my RSS feed, I thought you were going to be talking about the pencil-to-paper method of doing taxes. I was surprised to see that the accepted view is that using tax prep software is now considered doing your taxes. Have other people (esp. 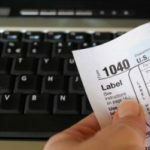 those who did taxes pre-tax-prep software) had a changing view of what doing taxes yourself means? Although I’ve never tried Turbo Tax, I’ve used the H&R Block “Tax Cut” for years. The pro’s (which might be similar for Turbo Tax) are that it prepopulates all my personal information and remembers my accounts/W2 from year to year, so all I have to do is enter the numbers. Also, anytime I need, I can access my prior 5 years Tax Returns (like when I’m at work, and don’t have my hard copies). Lastly, if you have a confusing year tax year, for not that much more $, you can get their tax professionals to look it over. You can email them questions, and they’ll email you back answers. It’s doing your own taxes in the sense that you’re doing it yourself. While the software makes it possible to blindly crunch through your numbers, that’s not what I’m recommending here. Indeed, you can play with the numbers all you want to see how different scenarios affect your bottom line, and you can access the underlying IRS forms directly. Keep in mind that virtually all professional tax preparers likewise use a software package to process your data. How is using Turbo Tax, “doing your own taxes”? Granted, it’s not at all like going to a professional, but it’s also really not like getting the 1040 instructions, schedules and putting pencil to paper. Did anyone else have that experiences? Or did I just have the bad luck of entering an area without much explanation? Just to let you know, you can also do it ‘piecemeal’ in turbotax, in fact, you can just directly fill out the forms electronically in it and have it check your figures if you want. It just has an easy to use step-by-step tax wizard if you want to use it that it defaults to. When I’m filling in longer itemization breakdowns, I often fill in the forms in TurboTax directly rather than use their wizard. But you’re right, if you don’t mind doing it by hand and enjoy doing it, go for it, it’ll save you on the software. Kevin W, the great thing about doing taxes by hand is that you can do it piecemeal. As each tax document arrives in the mail, you can enter the appropriate amounts onto the appropriate form(s). At the end of January, reading through the entire form will let you see if anything is still missing. Also, then you have one less thing to buy (Turbo Tax). Great article. I totally agree with you that its nice to go through the calculations and then compare the results to what the tax accoutnant gives you. The thing with tax software though is that it won’t give you specific tax planning advice. Other than that though, it works just fine.. I feel comfortable with doing my own taxes now, but when I first started, I made serious mistakes (like not deducting my IRA contributions). Granted, I was really young at the time and didn’t earn enough to make a tax accountant worthwhile or affordable. But it would have been nice to have someone walk me through it at least once. As much as I dislike paying taxes, I agree, there is something a little fun about TurboTax time. It’s almost like a puzzle. Each year, I always seem to encounter something new when I do my taxes (e.g. this year is the first time I have to pay AMT). Sometimes, the new experience requires me to do a little research: read the code, browse the forums, get on the phone with my financial institutions, contact the IRS, etc. It can be a pain, but when it’s all said and done, I’m on top of it – I understand the issues and I’m prepared for next time. I consider it part of my overall mission to remain as self-reliant as is usefully possible. If I always turned my taxes over to someone else, I would quickly lose my overall grasp of how to plan my life with respect to taxes. BTW, while discussing taxes with a coworker a couple of weeks ago, I discovered that he does his own taxes by hand – no TurboTax! 1040, schedules A,B,D, etc. Now, that’s just plain nuts! I learn new things each year. This was my first full year of home ownership so the deductions were very different than normal. I also use turbo tax and it has been great for the last few years when I have to file both mine an my wife’s incomes. A quick tip, your insurance company may allow you to get Turbo Tax for free. State farm has a link, for people who have their insurance and are signed up for online servicing, that takes you to the Turbo Tax website. Once there both the basic and deluxe versions are free. Great article, couldn’t agree more. I learned a lot about taxes this year due to moving to a different state and buying a new home. However, Turbotax really was fantastic is guiding me through it, even filing the multiple state returns and seperating the income earned in each state, etc. As I’m self employed, it has also shown me (which I’ve verified, I’m not quite that much of a sheep) many things I can deduct which I never bothered before and this year will be filing a lot more receipts in the 2008 Taxes file drawer. Also, if self-employed and work out of your home and don’t want to go the CPA route (like me, I don’t need one), TurboTax, well, the more expensive version (that’s worth every penny IMO), is great in computing home office space deductions as well as depreciation for the office and also for depreciatable assets, and when you import last year’s taxes, it carries over and makes it all REALLY easy to track – couldn’t praise that part enough. Again, great article, Turbo Tax and then reviewing your returns and actually knowing what’s going on definitely has my vote.